Dennie H. submitted this photo and caption. This picture was taken on Canada Day in Sylvan Lake Alberta at Matt's house. We all met while being involved with the Edmonton Strutters at one point or another and went on to march contra with the Madison Scouts. Currently we are all involved with Impact Drum and Bugle Corps. 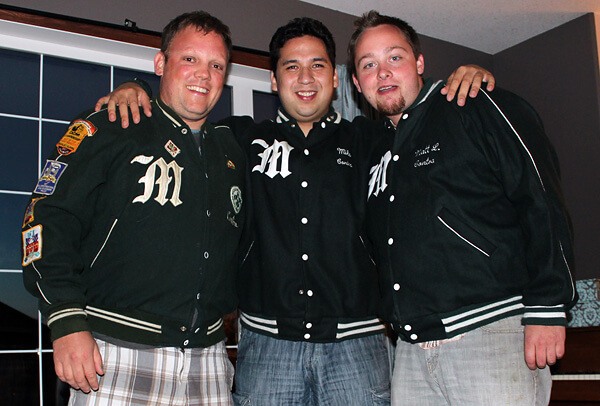 From left to right: Dennie H. '97-'98, Mike T. '05, Matt L. '05.